At Matchboard, we get asked all the time for recommendations of the best after-hours or 24×7 call centre providers. These requests are becoming more and more frequent, reflecting changes in society, demographics and consumer preferences. Let’s take a closer look! Software is eating the world, as Marc Andreessen famously said. We are all consumers of big software businesses, from Google and Amazon to Netflix and Microsoft. But there are millions of small businesses which sell software too, and we consume it when we feel like it – any hour of the day, any day of the week. As a result, it is a growing expectation that businesses offer customers a “help desk” around the clock. The demand for after-hours help desks will only increase as more and more companies develop apps and platforms, invariably with bugs or buttons which are simply hard to follow and too complicated for self-service. But software isn’t the only thing people consume after-hours. Since the advent of the convenience store, places and services are just open longer. Think of retail outlets like supermarkets, petrol stations, transport systems that operate through the night, even cafes. This has implications for the supply chain supporting all these environments. With cafes operating late, and relying on coffee machines to serve their tired customers, suddenly the coffee machine companies need to be on call after-hours, just in case the machine breaks down. And the suppliers of fuel dispensing systems need to support their petrol station clients with a 24×7 call centre to deal with malfunctions or safety issues. Speaking of safety, there are child safety hotlines, and hotlines for people working in isolated conditions. Call centre providers can monitor workers in remote or risky locations through the night, and instantly escalate if there are concerns for safety or security. Perhaps fuelled by the risks inherent in the mining and construction industries, Australia is a respected leader in safety, whether for employees or vulnerable people, and this focus has resulted in a proliferation of safety hotlines. More and more companies are taking proactive action to prevent harassment and bullying in the workplace. This increased level of corporate responsibility often includes the provision of 24-hour reporting hotlines where victims can report issues in a safe and, if required, anonymous environment. There are also crime reporting hotlines (such as Crimestopper), pollution reporting and fraud reporting hotlines. Most of us are familiar with lost and stolen card reporting hotlines, which also operate 24×7. People can get sick or have accidents any hour of the day, so it’s no surprise that health information and advice hotlines need to have after-hours coverage. Government-funded Healthdirect has set up a 1300 nurse on call hotline, to take the pressure off over-crowded emergency rooms in hospitals. They have also implemented an after-hours GP hotline, staffed by doctors, and a pregnancy and baby helpline. 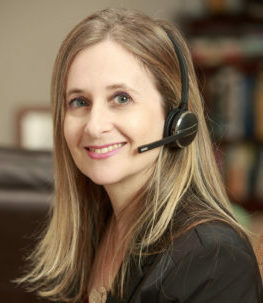 These call centre services are outsourced to third party specialists. With the growing recognition of mental health in society, there are many 24×7 counselling hotlines catering to depression, addictions (such as gambling and alcohol) and suicide. Then there are 24-hour hotlines for breast-feeding and specific diseases such as diabetes. The ageing population and boom in in-home health care is also spawning the need for call centres available round the clock. Aside from health, there are a many types of emergencies which require 24-hour call centre service. Examples are roadside assistance, home assistance, wildlife rescue and emergency response for natural disasters or terrorism. We live in a global world, and backed by government support and Internet/smartphone penetration, it’s becoming more and more feasible for businesses of all sizes to “go global”. This means providing service to people during the day in their time-zone, which may equate to night-time in Australia. The good news is that companies can easily outsource to call centre providers that operate after-hours while the company manages the day shift in-house. Outsourcers can also cater to other languages in virtually any consumer market. The travel industry has always taken the lead in 24×7 service, with hotels and airlines catering to reservations and customer service no matter which time zone or country their customers are located in. Building owners or managers need to ensure that their buildings are kept in prime condition around the clock. 24/7 contact centres can provide an escalation process, triage the calls and get the required tradies in when they are required.